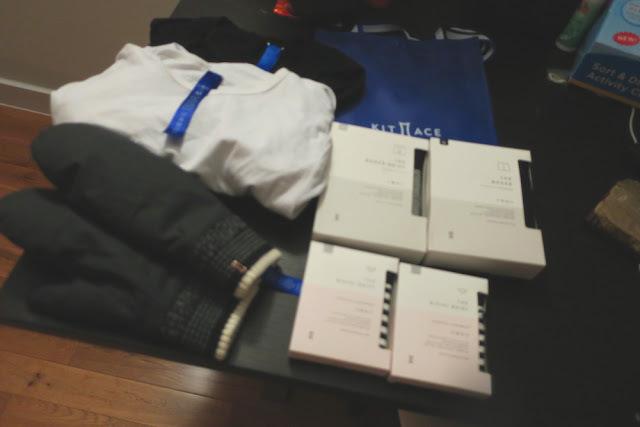 New York à la Keiko: nykeiko shops: Kit and Ace holiday promo! Lucky for me, there are a total of two showrooms here in New York plus a pop up in Soho. Do you remember the mittens I mentioned in my gift guide post last week? Those were the first thing I thought about getting but then I wondered, what about for all those things under $40? Are those for free? So I called the company to confirm and they said yup, no minimum required. Well, turns out sale items were excluded and their regular priced items are pretty pricy so I was left looking at underwear and bras. 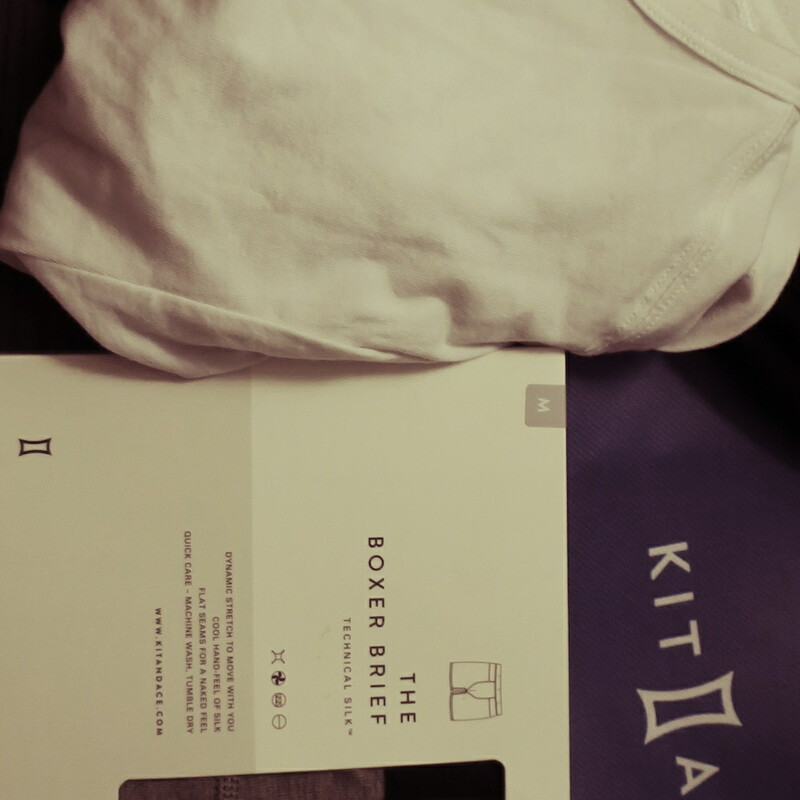 I decided to pick up an undershirt for the husband at the Elizabeth showroom. It was priced at $52 so I paid $12 for it. Then I went to the pop-up showroom on Greene Street and there, the sales person told me I could shop anything in the store including the sale section! I went right to the basement and picked up a Cali V long sleeve. It was on sale for $48 (from $98) so I paid $8. The next day, I told Dave to go to the showroom in World Trade Center to pick up briefs for himself. They were $38 so he got those for free. As for me, I went back to Soho and took advantage of the promo again by getting another pair of briefs for Dave and then over to the Greene store to buy two pairs of women's bikini briefs ($28 each but with the promo, I paid $16 for both). Dave joined me too and bought me my mittens for $38 (they were $78). *I actually have worn them a few times now and do not love them :( * Finally, at the Greene pop-up store, the sales person there took down customer's names and emails declaring that people were taking advantage of the promotion and should really only be used once. By that time, I was already guilty of abusing the promo code but I guess all good things have to come to an end. Also, I didn't feel so bad because despite being able to grab a few items for free, I end up spending $74 in total (for $360 worth of stuff). The promo worked. It was to create a buzz, get people to visit the showrooms and spend some money. I did all that and more. 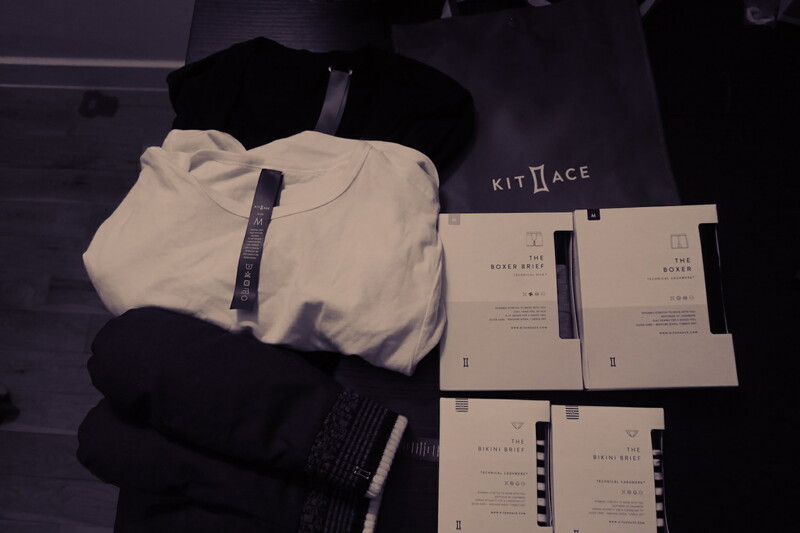 My circle of friends all know about Kit and Ace because of me! (Disclosure: I ain't getting paid for this post FYI). Not many people have heard of them since they are a relatively new company. Heck, I didn't even know about them until earlier this month. I learned about the brand through my sister who insisted on checking out one of their showrooms in NYC when she was in town earlier this month. So here's my quick intro about Kit and Ace. They are a Vancouver based company founded by a former lead designer at Lululemon. Their clothes are made with cashmere interwoven with a blend of synthetic materials which allows you to throw them in the washing machine over and over again. They trademarked this technology as 'Technical Cashmere™'. The clothes are designed for work but suitable for a sweat session at the gym if you wanted to. Most of all, they are suppose to be comfortable to wear from day to night. If you missed the sale, you can shop their "Last of it" section where they have new marked down items.